Patricia’s teaching expresses a depth and breadth that arise from over 35 years of teaching, and includes many streams of study. Her exploration of yoga began in 1971 and she studied in India with the Iyengars in the 1980’s. Before embarking on her own independent studies she taught Advanced Studies (teachers-in-training) at the Iyengar Yoga Institute of San Francisco throughout the 1990’s. 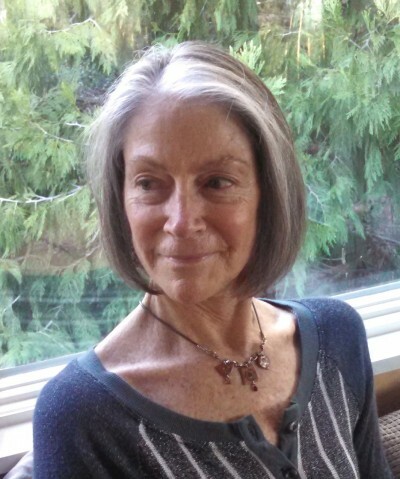 She continues to contribute her presence and skills in retreats and occasional teacher trainings at Tassajara Zen Mountain Center, Green Gulch Farm, Piedmont Yoga and others. Patricia’s work draws from a broad study of yogic traditions, her artwork, and Buddhist practice. Qigong practice has also informed her teaching as has the study of postural analysis and re-education via the Egoscue method. She has studied many translations and commentaries of the Yoga Sutra of Patanjali, including the practice of chanting the Sutras. She has investigated various systems of yoga and has dedicated many years to her own personal exploration. Patricia’s knowledge of alignment, anatomy and kineseology promotes healing and aesthetic awareness. Her guidance in attuning to, calming and toning the energy body through sensitive awareness in the poses, through sound, chanting, and pranayama practices, creates an effective bridge to and from the more subtle aspects of our existence. She emphasizes process, curiosity, exploration and modification according to individual needs. Her practice and study of Buddhism brings the emphasis of mindful awareness and investigation taking precedence over accomplishment, and her work as an artist adds a creative, improvisational element to the classes. By weaving these streams – precision, sensitive awareness, improvisation – Patricia presents us with the rare opportunity to explore the deep, subtle, and life altering potential that Yoga and Buddhist practices offer.